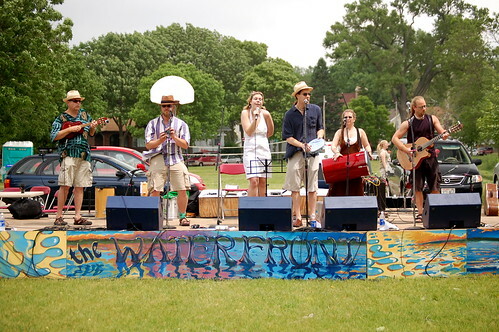 Pagee Go Go - the hot samba band from Madison, WI - opened the line up of bands on Saturday at the Yahara Waterfront Festival. It may have seemed like a humble slot to play, but the weather turned ugly in the middle of the afternoon, and it turns out that only PGG and one other act got to play. While the crowd was light when they took the stage at the crack of noon, PGG pulled the crowd down to hear their fun, up-tempo samba sounds. 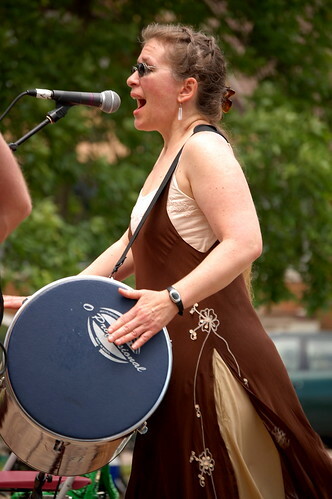 Of course, I could be a tad biased about PGG, as my lovely wife Reena plays in the band. 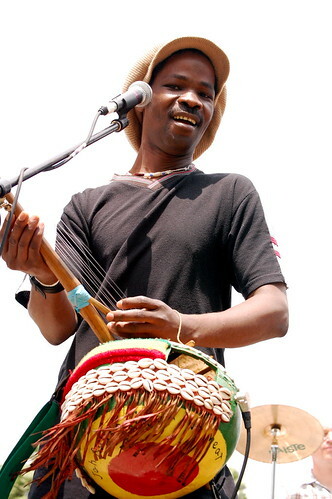 The other act to play was fronted by Tani Diakite, "a master craftsman and player of several Malian instruments. He both makes and plays the kamelon ngoni, a traditional, stringed instrument from his homeland in Mali. His Malian Blues Band plays an infectious Tuarog desert trance music made popular by the band Tinariwen." (quote from the festival home page). These guys were tight, and really good! Local jazzman Tony Castaneda accompanied Tani, along with a host of other talented musicians. Nation Beat from Brooklyn, NY, was supposed to headline at the festival until torrential rain and tornado warnings ended the day. 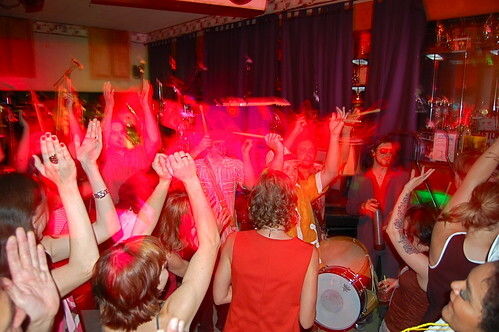 They ended up playing two rousing sets at the Crystal Corner bar that night to a happy crowd. 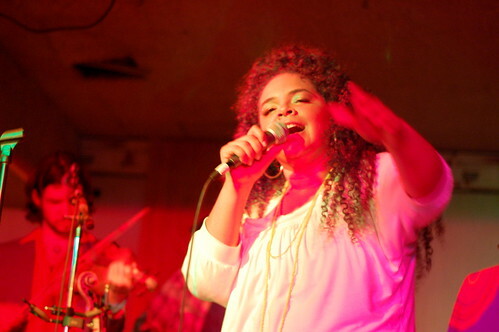 Liliana Araujo has a great voice! When Scott Kettner started playing the pandeiro solo, my jaw nearly hit the floor. This guy is amazing! Truly, he did things with that "simple" drum I would never have thought possible, and it was clear as he played that a lot of the time he was just toying with us, giving a cool riff and backing off, only to showcase some other cool thing a few seconds later. 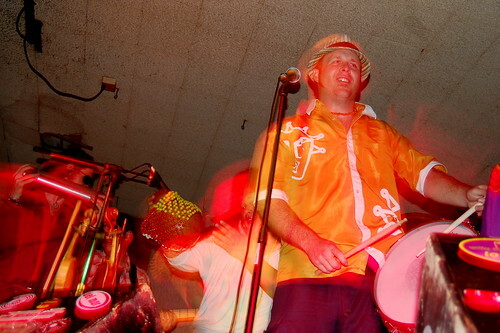 Truly a stunning moment in bar-band history. It's worth going to Nation Beat's webpage to see what they're all about. As the night came to an end, Nation Beat came out in the crowd and continued to play, working the dancers for a final few minutes. A great night of music at the Crystal Corner bar salvaged what could have been a disappointing day. Reena love to see you wailing away on that drum,would have loved to have been there to here you sing as well.LOVE Katie in Flagstaff,Az.